Ambroise-Paul-Toussaint-Jules Valéry (French: ; 30 October 1871 – 20 July 1945) was a French poet, essayist, and philosopher. In addition to his poetry and fiction (drama and dialogues), his interests included aphorisms on art, history, letters, music, and current events. Valéry was born to a Corsican father and Genoese-Istrian mother in Sète, a town on the Mediterranean coast of the Hérault, but he was raised in Montpellier, a larger urban center close by. After a traditional Roman Catholic education, he studied law at university, then resided in Paris for most of the remainder of his life, where he was, for a while, part of the circle of Stéphane Mallarmé. In 1900, he married Jeannie Gobillard, a friend of Stéphane Mallarmé's family, who was also a niece of the painter Berthe Morisot. The wedding was a double ceremony in which the bride's cousin, Morisot's daughter, Julie Manet married the painter, Ernest Rouart. Valéry and Gobillard had three children: Claude, Agathe, and François. Valéry served as a juror with Florence Meyer Blumenthal in awarding the Prix Blumenthal, a grant given between 1919 and 1954 to young French painters, sculptors, decorators, engravers, writers, and musicians. Though his earliest publications date from his mid-twenties, Valéry did not become a full-time writer until 1920, when the man for whom he worked as private secretary, a former chief executive of the Havas news agency, Edouard Lebey, died of Parkinson's disease. Until then, Valéry had, briefly, earned his living at the Ministry of War before assuming the relatively flexible post as assistant to the increasingly impaired Lebey, a job he held for some twenty years. Valéry is best known as a poet, and he is sometimes considered to be the last of the French symbolists. However, he published fewer than a hundred poems, and none of them drew much attention. On the night of 4 October 1892, during a heavy storm, Paul Valéry underwent an existential crisis, an event that made a huge impact on his writing career. Eventually, around 1898, he quit writing altogether, and, for nearly twenty years, Valery did not publish a single word. This hiatus was due, in part, to the death of his mentor, Stéphane Mallarmé. When, in 1917, he finally broke his 'great silence' with the publication of La Jeune Parque; he was forty-six years of age. This obscure, but sublimely musical, masterpiece, of 512 alexandrine lines in rhyming couplets, had taken him four years to complete, and it immediately secured his fame. With "Le Cimetière marin" and "L'Ebauche d'un serpent," it is often considered one of the greatest French poems of the twentieth century. The title was chosen late in the poem's gestation; it refers to the youngest of the three Parcae (the minor Roman deities also called The Fates), though for some readers the connection with that mythological figure is tenuous and problematic. The poem is written in the first person, and is the soliloquy of a young woman contemplating life and death, engagement and withdrawal, love and estrangement, in a setting dominated by the sea, the sky, stars, rocky cliffs, and the rising sun. However, it is also possible to read the poem as an allegory on the way fate moves human affairs or as an attempt to comprehend the horrific violence in Europe at the time of the poem's composition. The poem is not about World War I, but it does try to address the relationships between destruction and beauty, and, in this sense, it resonates with ancient Greek meditations on these matters, especially in the plays of Sophocles and Aeschylus. There are, therefore, evident links with le Cimetière marin, which is also a seaside meditation on comparably large themes. Before la Jeune Parque, Valéry's only publications of note were dialogues, articles, some poems, and a study of Leonardo da Vinci. In 1920 and 1922, he published two slim collections of verses. The first, Album des vers anciens (Album of ancient verses), was a revision of early but beautifully wrought smaller poems, some of which had been published individually before 1900. The second, Charmes (from the Latin carmina, meaning "songs" and also "incantations"), further confirmed his reputation as a major French poet. The collection includes le Cimetière marin, and many smaller poems with diverse structures. 'Le Cimetière marin' is mentioned or indirectly implied or referred to in at least four of Iris Murdoch's novels, The Unicorn, The Time of the Angels, The Nice and the Good and The Sea, The Sea. Valéry's technique is quite orthodox in its essentials. His verse rhymes and scans in conventional ways, and it has much in common with the work of Mallarmé. His poem, Palme, inspired James Merrill's celebrated 1974 poem Lost in Translation, and his cerebral lyricism also influenced the American poet, Edgar Bowers. His far more ample prose writings, peppered with many aphorisms and bons mots, reveal a conservative and skeptical outlook on human nature, verging on the cynical. However, he never said or wrote anything giving aid or comfort to any form of totalitarianism popular during his lifetime. Raymond Poincaré, Louis de Broglie, André Gide, Henri Bergson, and Albert Einstein  all respected Valéry's thinking and became friendly correspondents. 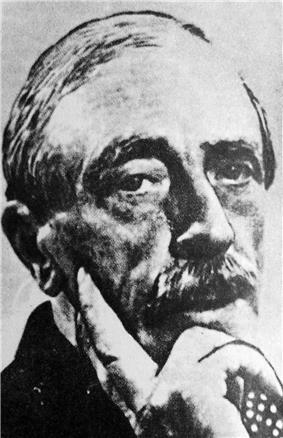 Valéry was often asked to write articles on topics not of his choosing; the resulting intellectual journalism was collected in five volumes titled Variétés. Valéry's most striking achievement is perhaps his monumental intellectual diary, called the Cahiers (Notebooks). Early every morning of his adult life, he contributed something to the Cahiers, prompting him to write: "Having dedicated those hours to the life of the mind, I thereby earn the right to be stupid for the rest of the day." The subjects of his Cahiers entries often were, surprisingly, reflections on science and mathematics. In fact, arcane topics in these domains appear to have commanded far more of his considered attention than his celebrated poetry. The Cahiers also contain the first drafts of many aphorisms he later included in his books. To date, the Cahiers have been published in their entirety only as photostatic reproductions, and only since 1980 have they begun to receive scholarly scrutiny. The Cahiers have been translated into English in five volumes published by Peter Lang with the title Cahiers/Notebooks. Valéry is currently considered a touchstone for those interested in constructivist epistemology, for instance, in Jean-Louis Le Moigne's description of constructivist history. 2000- Paul Valéry's Cahiers/Notebooks. Volumes I- . Editor-in-chief: Brian Stimpson. Associate editors Paul Gifford, Robert Pickering. Translated by Paul Gifford. Frankfurt am Main: Peter Lang. Oscar-winning Japanese director Hayao Miyazaki's 2013 film The Wind Rises takes its title from Valery's verse "Le vent se lève!... Il faut tenter de vivre!" ("The wind rises… We must try to live!") in the poem "Le Cimetière marin" (The Graveyard By The Sea). ^ *Manet, Julie, Rosalind de Boland Roberts, and Jane Roberts. Growing Up with the Impressionists: The Diary of Julie Manet. London: Sotheby's Publications, 1987. ^ Shone, Tom (February 21, 2014). "The Wind Rises: a flight into Hayao Miyazaki's magic and poetry". The Guardian (London). Retrieved March 4, 2014. Centre for Valéry Studies at Newcastle University.